Hackers are getting creative to access to our private data. They know it’s valuable and they are eager to exploit it. This is seen in the global rise of identity theft and ransomware cases. No one’s data is immune. Phishing emails are one of the most popular data extraction techniques. Every year statistics show an alarming rate at which this tactic is continuing to trap people into revealing their personal data. An email designed to trick you into clicking on a malicious link or revealing your personal information. It can do so by exciting you with a deal, frightening you with a threat or a claim that your family member needs something from you, posing as a website or service you trust, or in many other ways. 1. Don’t rely on spam filters alone. 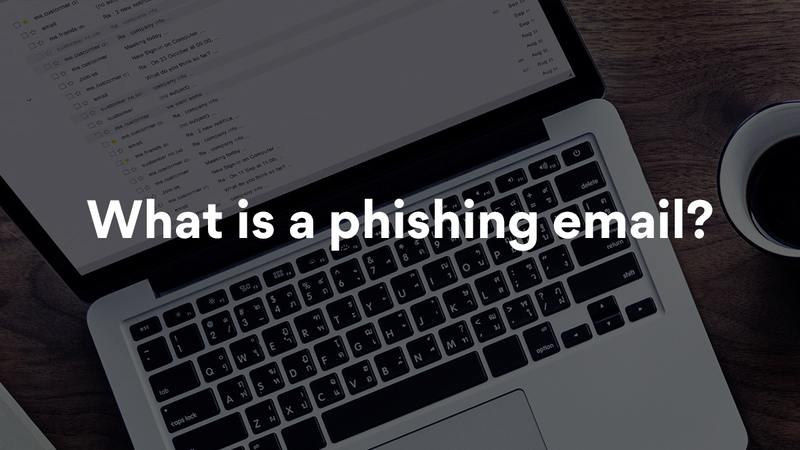 Most email providers block users who send phishing emails by just sending their emails straight to the spam folder. However, there will always be craftier criminals who will find new ways around them. 2. Whose name is on the email address? First of all, you should be able to recognize a suspicious email just by looking at the name of the sender or their email address. Typically we have a list of contacts we expect to receive an email from. So if you see that Johnny Depp or David Hasselhoff is emailing you – chances are that the email might be a click-bait. If you don’t trust the name on the email address, then don’t open it. If the email came from a trusted source but has a suspicious headline, then send a separate email to that person to check whether their mailbox was compromised. However, do not reply to the original email. An email will also be suspect if the sender’s name or address is spelled wrong – especially if it’s a large and well-known brand. 3. Ask yourself: Do I need to click the link? If by any chance curiosity got the better of you and you opened the email, do not click on any links and don’t download any attachments. It might be hiding malware and will most likely infect your device. 4. Are there spelling mistakes in the email? Brands that send emails to their customers focus on the details and triple check for errors. If there are spelling mistakes in the email, you may want to doubt its authenticity. 5. Double check the product being advertised. If you receive an email offering you ticket giveaways for an expensive trip, double check whether the offer is valid before you click on any links. It’s understandable that you’re curious what’s on the other side but before you carelessly give away your details, search for this offer on Google first. The rule of thumb is – if it sounds too good to be true, it’s probably a scam. Phishing emails are more subtle and more elaborate than they used to be. Some pretend to be from your tax refund service while others seem to come from your friends. Clicking on a link might take you to a lookalike website that will trick you into entering your personal details or downloading a virus. Sign up for our monthly blog email below for more great cybersecurity and privacy tips!